AVLoops is a visual content marketplace for HD, 2D and 3D animations specifically designed for electronic dance music (EDM). contributed by talented content producers from all around the world. €0 to €4 for Personal License and from €10 to 40€ for Commercial License. Why we do it? Because we love audio-visual and we want everyone to enjoy it! Content sellers receive 70% commission on every sale! You can create an account simply using your Facebook or Google login. Additionally, you can upload and download content directly from your Dropbox or Google Drive. 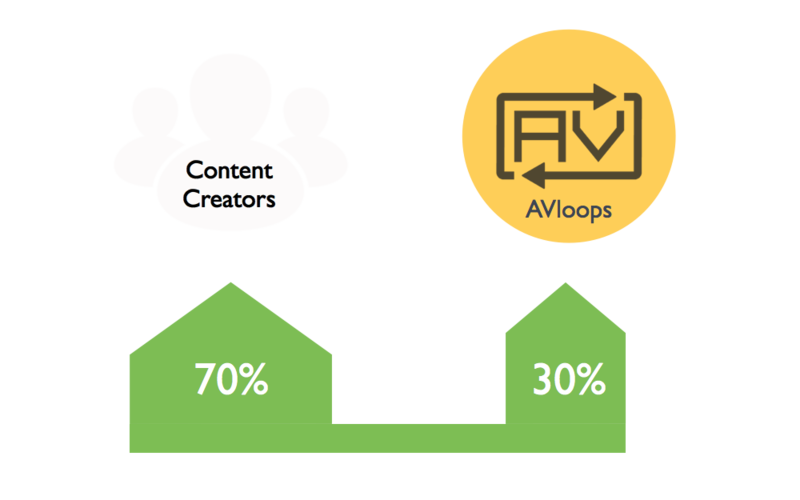 This makes it very simple to add your content to AVloops and start selling in just a few clicks. AVloops GmbH is a registered company located in Berlin Germany, established January of 2017.